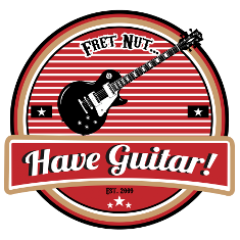 October 2017 - Fret nut... Have Guitar! This review is about the Boss Katana 100 watts with a 1×12″ speaker, five different amp setting ranging from acoustic to high gain, power control and much more. Watch my review for a runthrough of the Katanas feature, sound examples and Have Guitars opinion about this amp! Yep, been a long time since I did a Vlog so now its time. These videos do not go out to the subscribers as a notification, so if you for some reason do like’em you have to check out my channel every now and then. It’s not that important – just something I do when I get the urge. By the way watch out for next thursday, second of november, for a cool double release of videos. Or… considering the topic of this video, it’s actually four videos. Thanks for watching Have Guitar! Så, det var ett tag sedan jag släppte en Vlog så nu är det tydligen dags. Vlogsen går inte ut som notifikationer till prenumeranter så om du gillar dem måste du titta in hos min kanal då och då. Så, de är kanske inte så viktiga men då och då när jag får lust gör jag en vlog. Förresten, glöm inte att kolla in Have Guitar nästa torsdag, andra november, för två nya videos. Fast… med tanke på ämnet för den här vloggen så blir det ju de facto fyra videos. Tack för att du kollar på Have Guitar! So, I had this amp in the 90’s, it was stinking expensive and I never managed to get it to sound as good as Johan does in this video… possibly I would be able today, kinda sad I sold when listening to the great tones he gets out of it in this video! Here’s a new Kemper Rig Showcase from Have Guitar! In this one I take a look at a Kemper profile pack from Pete’s Profiles, it’s the THD UniValve 6L6 Power Tube. The profiles are created with seven different settings captured by six different microphone which gives us 42 profiles (and yes, I know I say 7×7 in the video… math is obviously not my strong side!). This amp is class A (and if you wanna know more about that, take a look at the link below! ), it’s one channel with an attenuator built in and it runs between 3 – 15 watts. If you want to know more about the amp from which the profiles came, I have added a link to the manufacturer below. Also, as I’ll tell you in the video, I planning on doing shorter Kemper Rig Showcases from now on. I mean, some of my KRS videos has been way over 20 minutes long! By doing them shorter, I still hope be able make them more focused and actually more enjoyable to watch and the same goes for the Pedal Frenzy videos. The ideal time would be between 5 – 10 minutes. For reviews and some other videos that naturally can be longer for in-depth purposes I have planned doing two versions – like I did with my review of the Gibson SG. One long and one short so you as a viewer can choose the version that suits you. Have Guitar presents a new Kemper Rig Showcase – ReampZone’s Peavey Classic 30 profile pack! These profiles are taken from a Peavey Classic 30 head, not the combo version which is more common. It’s 30 watts, two channels ranging from clean to dirty crunch and equipped with three 12AX7 and four EL84 tubes. Also used to boost the amp head is the Klon Centaur, Duncan 805 and some other stomp boxes – for more info see the link to ReampZone below. That’s it! Hope you like the video and if so consider to subscribe to Have Guitar! Every sub counts and the more I get the more the channel grows and that expands the possibilities. And as always a Very Big Thanks to all of You already subscribing! !